You want to buy a house and you’ve been trying to save the down payment for years. But something always gets in the way. Your car breaks down. Your eight-year-old needs braces. Rent keeps going up. You’re beginning to think you’ll never own a home. 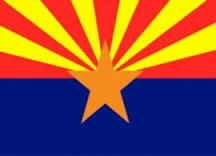 Arizona has three great down payment assistance (DPA) programs for middle income borrowers. And they’re not just for first-time home buyers. What is down payment assistance? Down payment assistance is a grant or a forgivable loan. Once you qualify for a first loan to buy a house, you receive the assistance money to pay the down payment and closing costs (prepaid taxes, home owners and mortgage insurance, and so on). Two of the DPA programs are offered by the Arizona Department of Housing (ADOH) and the third by the Industrial Development Authority of the County of Maricopa (IDA). Note that the lender’s requirements may trump some of the assistance programs’ requirements based on the loan programs the buyer qualifies for. The Pathway to Purchase program (P2P) helps home buyers in certain cities in Arizona put together a down payment. It works like this. You apply for a first loan through the Pathway program, which is a 30-year fixed-interest rate loan. Once you apply for the loan, you also receive a 2nd loan for the down payment and closing costs up to 10% of the purchase price with a max of $20,000. If the first loan is $100,000, for example, then the second loan will be $10,000. This second loan is forgivable—it has no payments and no interest, and after five years, it is forgiven. There are a few stipulations. You can’t own another residential property at the time of close; your annual income can’t be more than $89,088; the purchase price can’t be more than $356,352; and your credit score must be 640 or greater. If you are eligible for the Home Plus program, you can get up to 5% of the loan amount (not purchase price) for down payment assistance, depending on the type of loan you qualify for—and as much as 6% if you are qualified military personnel, such as a veteran, active duty military, active reservist, and active National Guard. This program is not available in Pima County, and with some types of loans, it is not available in Maricopa County. As with the Pathway program, the first mortgage is a 30-year-fixed loan, with no minimum loan amount. Your income can’t be more than $89,088, the purchase price can’t be more than $356,352, and your credit score must be higher than 640. If your credit score is higher than 680, however, you’ll get a higher percentage of the maximum assistance. The Industrial Development Authority offers the Home in Five program, which is strictly for homes purchased in Maricopa County. Home in Five provides down payment assistance up to 4% of the loan amount for eligible buyers and up to 5% for “hero” buyers: qualified military personnel, first responders, and teachers. The actual amount depends on the type of loan and the buyer’s credit score. The first loan is a 30-year-fixed interest rate loan. This program has certain requirements as well. Your income can’t be more than $88,340, the purchase price can’t be more than $300,000, and your credit score should be at least 640—but the higher your credit score, the higher the assistance up to the program’s maximum. What Do the Programs Have in Common? In all three programs, the loans must be for purchases of owner-occupied, primary residences. They cannot be for refinance or new construction loans or for manufactured or mobile homes, and buyers cannot receive cash back after the loan closes. Each type of loan and each program have their own requirements about the type of property allowed: new or existing homes, single family, multi-unit, condos, townhomes, and so forth. All programs require a DTI of 45%. DTI is debt-to-income ratio—your total monthly debts divided by your gross monthly income. If you have a $1,000 mortgage payment, $200 in credit card payments, and a $300 car payment, for example, and a $5,000 monthly income, your DTI is $1,000 + $200 + $300 / $5,000 = 30%. In addition, to participate in these programs, you must take a homebuyer education course. Generally, you can take the course online, in person, or by phone. Give us a call to see which program is best for you. We’ll walk you through the process, find you the right program, and get you into a home before you know it. Categories: Down Payment Assistance, home buying, Lender, Loans, Uncategorized | Tags: arizona, down payment, Down Payment Assistance, first time buyer, home loan, home purchase, Maricopa county, Mortgage, phoenix | Permalink. Many of my clients are looking at the pros and cons of refinancing their current home loans due to rate and program changes in the past several years. There is potential to lower their rate or payment on their current mortgage. In the long run, refinancing can be very beneficial. There are many reasons why people will consider a refinance, so I will break it down into the top 4 reasons that I have had experience with. Changing from an Adjustable Rate to a Fixed Rate Mortgage: Some homebuyers initially go for a low rate adjustable rate mortgage (ARM). This program allows for a fixed set interest rate for a period of time, typically 3, 5 or 7 years and when that time is up the mortgage will re-adjust based on the terms set forth in the initial note. 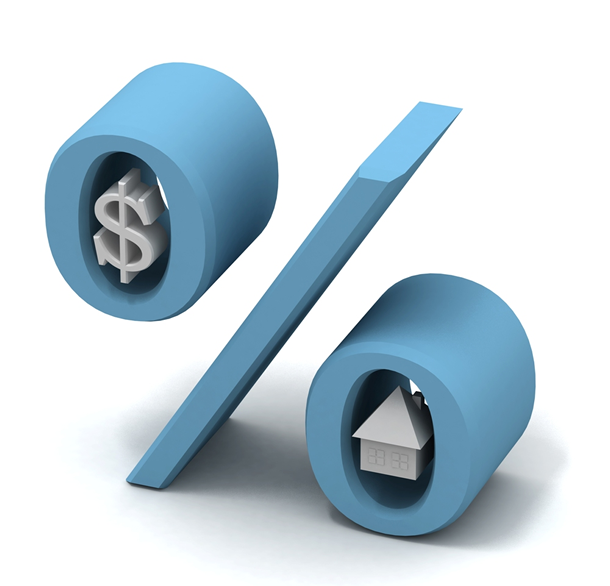 The fixed interest rate allows buyers to refinance and lock in a similar monthly payment for the life of the loan. Interest Rate or Monthly Payment: The most common reason to refinance is to lower your interest rate or drop mortgage insurance and in turn lower your monthly payment. For example, if you are five years into an existing 30-year mortgage and refinance for a brand new 30-year fixed loan, you are able to re-set the time clock back to 30 years. This extends the amount of time you have to pay off your loan and will possibly lower your monthly payments. If you have sufficient equity in your home you may also be able to refinance out of your current loan program that may have mortgage insurance. Shorter Term to Amortize the Loan Faster: Some homeowners use the lower interest rates to pay down their mortgages faster. A basic example would be a homeowner with 20-25 years left to pay on a 30-year mortgage. By refinancing, they can move to a 15-year fixed rate or 20 year with usually only a modest change in their monthly payment. This would allow the homeowner to pay off their loan in a shorter time frame and lower the amount of interest they will pay overall. Equity: Homeowners may want to use the equity that they have accumulated based on improving home values and do a cash out refinance. This money can be used for many things, from paying off other debt to doing home improvements. –	Will this make significant change? –	How long do you plan on staying in the home? Categories: Loans | Tags: arizona, cobalt mortgage, equity, home loan, ingrid quinn, Mortgage, phoenix, refinance, scottsdal, tempe | Permalink. Conventional Conforming Loans: 5% down payment is the minimum required for a Conforming Loan. Larger Down Payment – Just remember, the larger your down payment means the less money you have to borrow. This also means you’ll have more equity already available in your new home. This is important for borrowers in many ways, including lower monthly payments, potentially better loan terms, and the possibility of not having to purchase mortgage insurance. Discount points – The easiest way to think of discount points is that in order to lower or discount your interest rate, you pay a premium. This increases your closing costs and may have an impact on the money you have available for your down payment. Before you agree to pay discount points, you should consult your mortgage professional about the amount of money you are going to save monthly. From there you can decide if this route will benefit you in the long run. I have written in detail on the subject of discount/mortgage points. For more information on this subject please visit my blog Mortgage Points, What Are They? Qualifying for a Loan- qualifying for a loan can be tricky, but with the help of a mortgage professional you can look at your options and determine what will be the best way for you to qualify. In some cases you may need to work with a combination of things to fully qualify for the loan you need. There is no answer that is right for every borrower. Many factors play into a home loan and a mortgage professional is there assist you with the decision making process by laying out your options. Never hesitate to ask questions. Categories: home buying, Loans | Tags: arizona, cobalt mortgage, Home Buying, home purchase, ingrid quinn, Mortgage points, phoenix, scottsdale | Permalink. 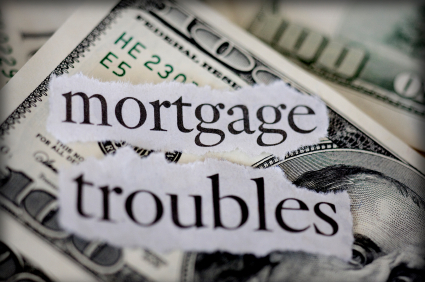 Fannie Mae announced that on August 16th of this year there will be changes to regulations. For several years now, Fannie Mae has allowed buyers that previously were involved in a pre-foreclosure hardship (short sale, or deed in lieu), to buy again using Conventional financing in as little as 24 months with a 20% down payment and a minimum 680 credit score. After August 16th, this early purchase programs is being retired, and replaced with longer waiting period, but with much less strict down payment and credit score requirements. Buyers that experience a short sale or deed in lieu of foreclosure are able to buy again using Conventional financing after a four (4) year waiting period. From what we understand, it appears that after the four (4) years from a short sale or deed in lieu, that you can qualify using the standard Conventional qualifying requirements of a minimum 620 credit score, and 5% down payment. Exceptions: If a homeowner can prove that the short sale was due to an extenuating circumstance such as job loss and can provide strong documentation, then the waiting period may still be reduced to two years. There are still options other than conventional conforming programs to assist buyers purchasing a home prior to 4 years. FHA & VA financing have shorter waiting periods; 3 years for FHA financing and 2 years for VA. Also, there are portfolio products available where a time limit does not exist but terms of that type of a loan are significantly less favorable than previously described programs. If you have questions or comments, please feel free to contact me. Visit http://www.cobaltmortgage.com/ingridquinn or email me at Ingrid.quinn@cobaltmortgage.com. Categories: Documentation, home buying, Loans | Tags: arizona, cobalt mortgage, fannie mae, Home Buying, home loan, ingrid quinn, Mortgage, phoenix, scottsdale, short sale, tempe | Permalink. When you meet with a Realtor, they will want to get some information from you. First, they will want to know if you have been prequalified with a mortgage lender. 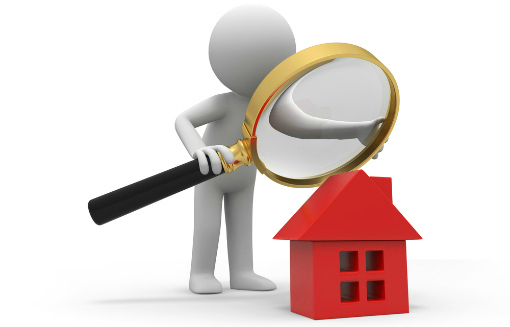 Then the Realtor will want to find out the features you are looking for in your new home. What type of home are you looking for single family, townhome, condo, square footage, location and the biggest question, what’s your budget? Knowing all of this information up front gives you an advantage. The home buying process can be overwhelming, unless you put together a plan for success right from the start. Be ahead of the game and meet with a loan officer. He or she will give you a realistic idea of what you can afford and provide you with information about the process you are about to embark on. Every buyer has a unique financial situation, credit score, job history, income, debt and financial goals. A mortgage lender will analyze your information at the beginning of your home buying process, maybe before you even meet with your agent and in turn this will give you the ability to focus on the properties that are the best fit for you. Today, it is not uncommon for people to have small hiccups through out the home buying process. Meeting with your mortgage lender before you begin looking at homes will put you in the best position possible. Some of the simplest things can become a deal breaker if they are not addressed in a timely manner up front. Over the past few years, the home loan process has undergone major changes. Government requirements, coupled with new banking standards have implemented procedures to help avoid future housing troubles. Meeting with a lender should be step number one. You should be prepared to provide copies of tax records, W2’s, complete bank statements and pay stubs. Having your prequalification or pre approval (both topics are discussed in a previous blog) in place will help you to have the greatest success with an offer on a new home. 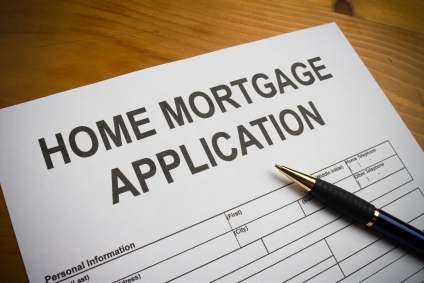 For more information about the home buying process or if you have questions or comments please visit http://www.cobaltmortgage.com/ingridquinn or http://www.scottsdalemortgageexpert.com. Categories: home buying | Tags: arizona, cobalt mortgage, Home Buying, ingrid quinn, phoenix, pre-approval\, pre-qualify, scottsdale, tempe | Permalink. Mortgage Points, What Are They? The origination fee is a lender fee. Some lenders charge this fee while others don’t. You should always ask your mortgage professional whether the quote they are offering has an origination fee and/or discount points associated with it. This will allow you to know exactly what your monthly payment will be. If you reduce your interest rate by paying discount points, your monthly repayment will also be reduced. It is a good idea to take into consideration what the monthly savings are by paying the additional cost of points and whether it is money well spent. You may want to use the funds to increase your down payment or do some improvements to your new home, which in turn will increase its value or make the home more enjoyable to you. Points can in some cases be tax deductible, so it is a good idea to check with your tax professional for advice. Mortgage points can be a good investment for you. 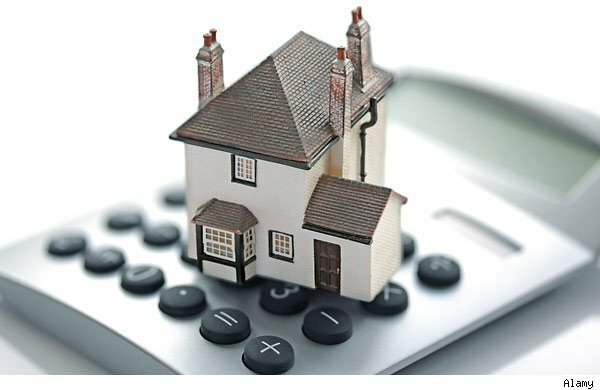 Your mortgage professional should help you with this calculation and find what will work best for you in the long run. As I always say, never hesitate to ask questions. Mortgage professionals are here to help you during this process and to make it go as smoothly as possible. If you have any questions or suggestions on future topics please feel free to contact me at Ingrid.Quinn@cobaltmortgage.com or visit me at http://www.CobaltMortgage.com/IngridQuinn or http://www.ScottsdaleMortgageExpert.com . Categories: home buying, Loans | Tags: arizona, cobalt mrotgage, Home Buying, home loan, ingrid quinn, Mortgage points, mortgage rate, phoenix, points, scottsdale | Permalink. Why Is the Payoff Balance on a Loan Usually Higher than the Current Balance on your Statement? When you receive your monthly statement from your mortgage lender, the unpaid balance IS NOT the amount necessary to pay the loan in full. This is merely the principal balance as of the first day of the previous month. Your March statement shows a balance owing of $200,000. This figure is what is owed as of February 1 – not March 1. Why? Because when you made your February payment to the mortgage lender, you were paying interest in arrears – you pay the interest for the previous month – in this case interest that was due from January 1 through January 31. You will pay interest to the lender until it receives the payoff from your settlement agent. The settlement agent will determine the amount to collect for payoff. At times there will be a few days interest as a cushion. Keep in mind that the lender being paid-off will refund to you any overpayment in daily interest. So how do you determine your payoff amount? The title company will order a payoff letter from your mortgage servicer to find out the precise payoff amount. What if you’re trying to prepare an estimate and would like a figure? You can always call your lender and obtain a payoff from them over the phone. Some lenders will calculate a payoff amount for you online as well. Just remember to add a few days to the closing date so that you have allowed for a cushion. To estimate, use this trick: take your principal balance and add to it a monthly payment. Assuming that you are on time with your payments, this number should always be a bit higher than your actual payoff, but at least this way you will be overestimating instead of underestimating, which is typically the case when you use the principal balance as the payoff amount. The daily interest covers the period until the payoff date, except on FHA mortgages, where the payment covers the entire month. Evidently FHA’s accounting system can’t deal with days, only months. That means that it is a good idea for borrowers refinancing out of an FHA to close as close to the end of the month as possible. This rule may be changed in 2015. For questions or comments please contact me at Ingrid.quinn@cobaltmortgage.com or visit http://www.cobaltmortgage.com/ingridquinn or http://www.scottsdalemortgageexpert.com. Categories: Loans | Tags: arizona, cobalt mortgage, FHA, home loan, Ingrid Qui, paying off home loan, phoenix, scottsdale, tempe | Permalink.